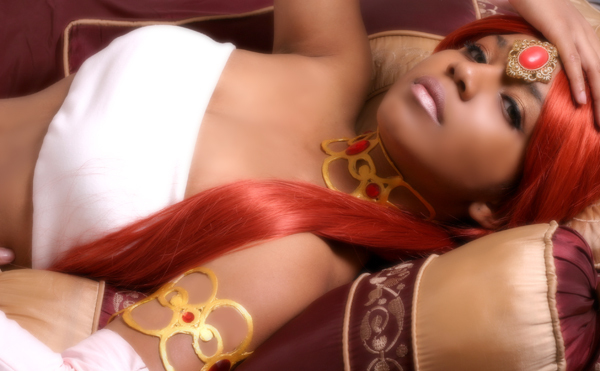 Nivali is currently working on creating a perfect Nabooru cosplay and is currently around 60% complete. She cosplays for fun and her main ambition is to take each and every cosplay for dark-skinned women and create them on her own bod! A collossal task indeed! Her cosplays are pin-up style though in the future Nivali hopes to travel around the US and Europe to cosplay conventions as a travelling booth babe! Don't forget to check out her personal site for more fab cosplays! All photographs taken by Sterlingeventide.